I couldn't figure out what forum to put this in so general it was. 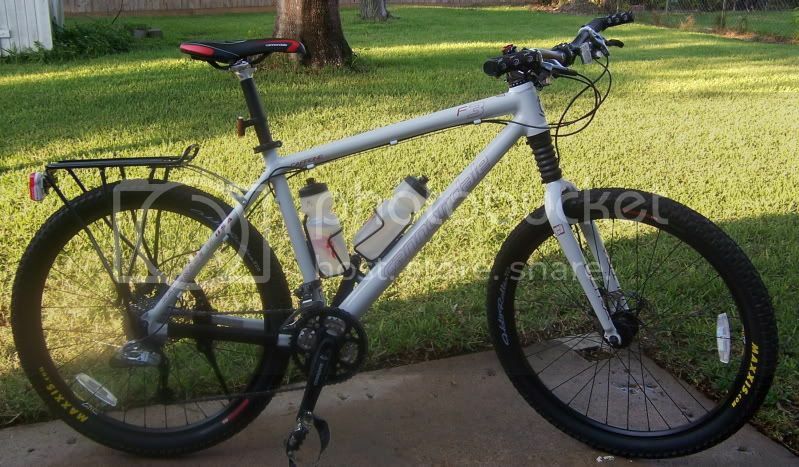 I am looking for clipless pedals for my wife's bike. I am looking for pedals that are easy to use and get used to. That is the main requirement. Ease of entry and ease of exit while still feeling that the feet are secure when clipped in. Also I care that the selection for shoes is good as my wife's feet need to be taken care of. I am not overly concerned about cost. I don't want to spend $300 but ~$150 for good pedals is not terrible. I was looking at speedplay because the system seems pretty good. Please give your opinions, I want to know. Are you looking for MTB shoes and pedals or Road? Good question. I am looking at this for a road bike but mountain bike shoes are easier to walk in. So for ease of walking I would prefer mountain bike shoes but if the other concerns (ease of use, etc) dictate a road shoe, then road shoe it is. MTB shoes narrows your choices to SPD, Time, Speedplay Frogs, and Egg Beaters. I am with you. So which do you think is easiest to use and release from. Speedplay frogs? Busy living life before the "dark ages". I'd vote for one of the less expensive Shimano SPD pedals; the main reasons being that it's never a bad idea to have a double-sided pedal, and about two hundred different shoes are made to fit the cleats. Have your wife try on every possible shoe first--find the shoes that fit her the best and let them tell her what pedals she will have. One note--if she has very small feet (Euro 38 or smaller) Look road cleats don't work well on really small shoes. I found spd's okay - just set the tension as loose as it will go to start with, and practice clipping in with your leading foot first. i just got a mtn bike- although the lbs insisted i start out with platforms..lol that lasted only a week... i bought shimano 959s and the womens shoe M082- a good fit- strong enough with a comfortable feel if you have to get off your bike i was used to spdx2 and specialized comps on my roadie, the x2 took a while to work in. i find the 959s a LOT easier to get in/out of. I would recommend SPD pedals. They are reliable. They are cheap. You can click out even when your shoes are dirty. There are a lot of shoes that take them. And the system allows you to even walk in your foot gear. Of course, SPD pedals are not exactly viewed favorably by the road group. But I would recommend them for new riders.